So we have been doing some cleaning and such here at the office and stumbled across a few large boxes from Meade. Okay, moment of truth, I actually tripped over them while I was carrying a larger box that was blocking my sight line. Anyway, when I opened the box up, after dusting myself off, we found many 12.4mm Super Plossls. As in hundreds of them. 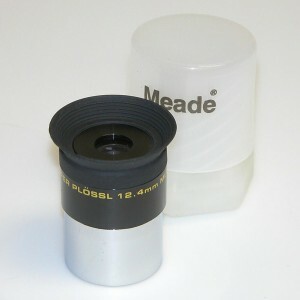 So feel free to click away and add to your eyepiece collection.